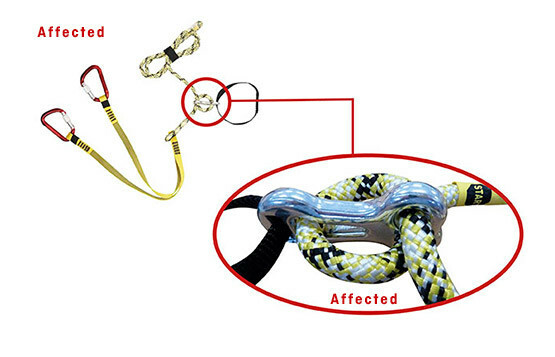 The testing showed that the impact force in a fall may be increased and that the tensile strength of the lanyards may also be reduced in such a way that it could result in a full failure of the Via Ferrata Set. Severe injury or death may be the consequence. In order to exclude every possible risk for our customers, SALEWA has decided to initiate a preemptive recall from the market of all Via Ferrata Sets with rope friction brakes. All SALEWA Via Ferrata Sets with a rope friction brake of this or similar design are affected, and they may be in circulation in a variety of possible colours, produced within the last 10 years. The production years is reported in the cloth tag (V09 refers to the year 2009). Please, stop using the affected sets immediately. If you have one of the affected Via Ferrata Sets, you can return it to SALEWA for replacement free of charge. The replacement will be a set of equivalent quality in the latest state of technology, with a textile shock absorber instead. To return your Via Ferrata Set, follow the instruction you can find in the “Manual” document. 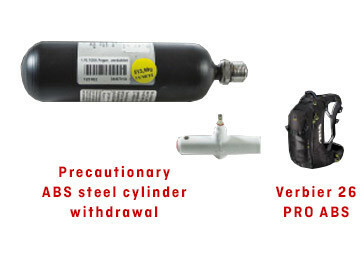 The delivery of the replacement products will take around 8 weeks for logistical and production reasons. You can check on the status of your return procedure at any time. To compensate for the costs of postage, we will include an Icono multifunctional headband when packaging your replacement set. Set will be replaced only if produced within ten (10)years. 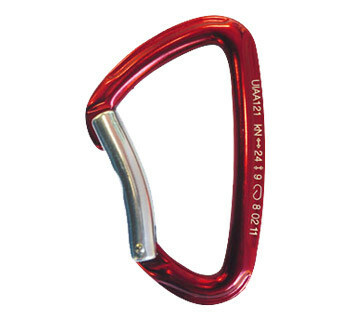 The recall concerns the Hot G2 Bent model of carabiners. 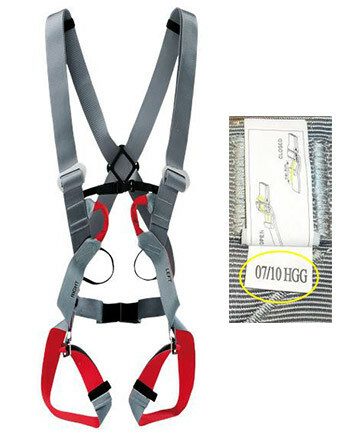 These numbers are found next to the information on the tensile strength of the carabiner (see figure) or on the front of the carabiner, next to the certification number. The recall concerns only the carabiners. Since there are no original SALEWA Express Sets for these carabiners, the recall DOES NOT CONCERN the SALEWA Express Sets. Sets with pull textile energy absorbers with this or a similar construction, in different colour variations, are not affected. To ensure maximum quality and safety, SALEWA conducts regular tests on the safety equipment. We have therefore conducted tests on the carrying capacity of the carabiners, during which some irregularities different from the standard tensile strength values were found. Please note. The test was conducted in extreme conditions that are highly unlikely to be encountered in daily practice. However, SALEWA has decided to recall all Hot G2 Bent carabiners with the serial numbers mentioned from the market as a precautionary measure, in order to prevent any risk to users. All carabiner owners are asked to contact a specialised SALEWA dealer or SALEWA directly. The carabiners corresponding to the description will be replaced with new carabiners. Warning: Only the Hot G2 Bent model of carabiners with the serial numbers provided above will be replaced. The recall does NOT concern the other carabiners. Please visit www.salewa.com for all other information on the recall. Lot number: all lots prior to 01/12 are concerned All harnesses with an ID mark starting from 2012 are not affected. If you have one of the products mentioned above, Civetta II Full Body or Vertigo 400 Alpindonna, please visit our specialised dealer and deliver this product to receive a new harness.